Most grizzly bear mortalities in Alberta result from interactions with humans, typically near roads. While some studies document grizzly bears avoiding roads, others suggest that bears are attracted to roads, likely in search of roadside vegetation. 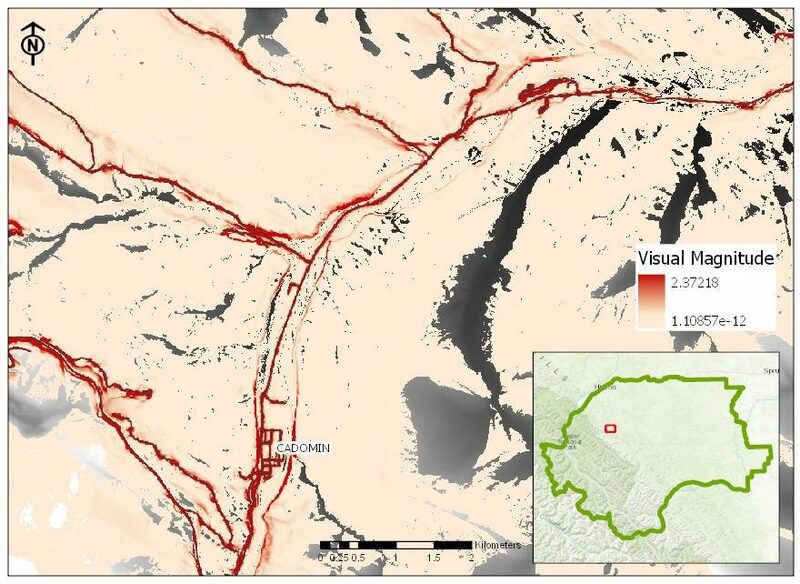 Most studies aiming to untangle this problem relate grizzly bear behaviour to distance to a road, without considering highly variable surrounding landscapes. In her research, Bethany proposes investigating predictors that are meaningful at the biological and landscape level: measures of perception. Understanding how an animal perceives a feature – whether it knows it is there – is crucial to understanding its decision-making process and response. She will build landscape models of both sight and sound propagation around roads, incorporating signal attenuation with distance and elevation as well as blockage effects of landscape features and vegetation based on detailed LiDAR data (Figure 1). She will use the output models as predictors in modeling grizzly bear behavioural response, measured from movement data taken from hourly GPS collar locations. Her project will build impact zones around roads based on threshold perception levels identified from a modified semivariogram modelling approach. In addition, she will use step selection functions to investigate grizzly bear attraction or avoidance to roads in relation to their perception of them. 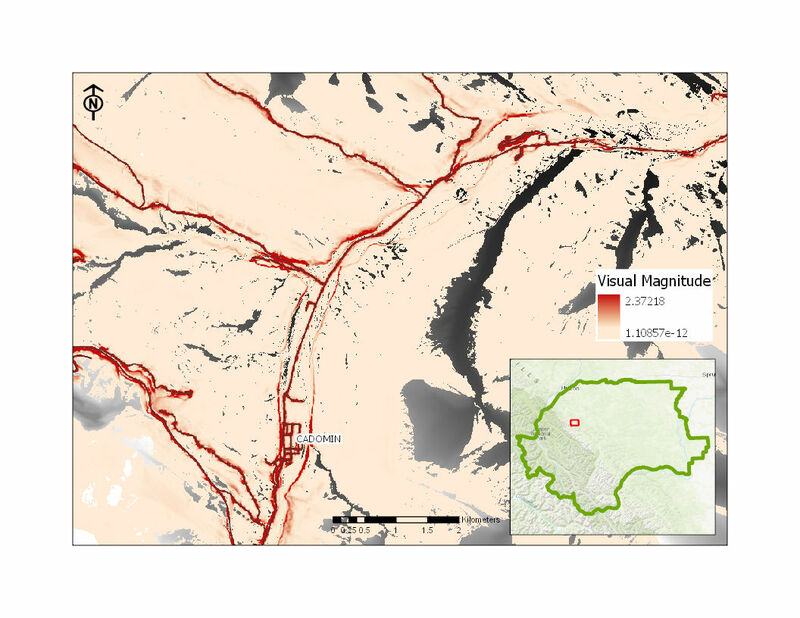 She predicts that including road perception in modelling grizzly bear movement will increase our ability over using distance alone to anticipate grizzly bear behaviour. This information will help managers to determine the impact extent of existing roads on the landscape and aid in determining the placement of new roads, as well as the effectiveness of potential mitigation efforts such as screening vegetation.